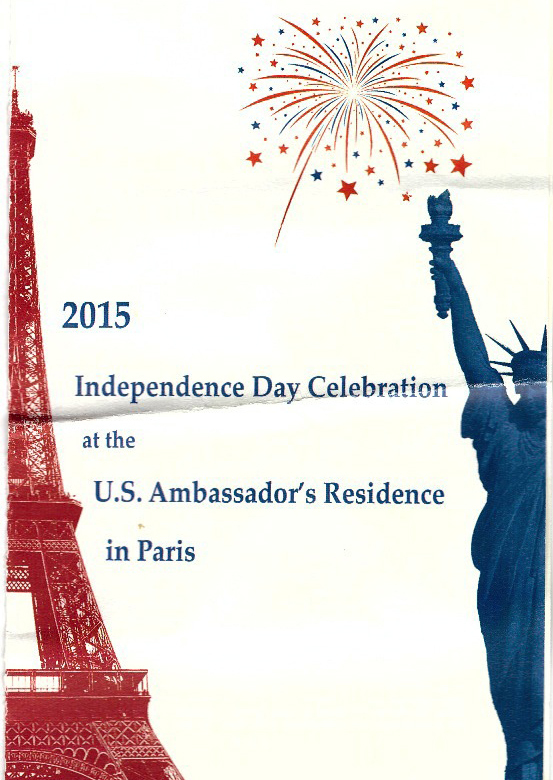 Ladies were reigning over the 139 th celebration of the American Independance on July 2nd at the Embassy in Paris. Ambassador Jane Hartley gave a speech in honor of French US relations underlining the help America received in 1776 and again US’ determinant part in saving our country in World War 2. Minister of Ecology, Ségolène Royal was there until late in the evening. Wearing a glamorous gold dress, the Ambassador looked more like a movie star than a diplomat, but she was exstatic at receiving with Crystal Nix-Hines, Ambassador to Unesco and Daniel Yohannes, Ambassador to the OECD. After listening to the Marseillaise and the Star-Spangled Banner, the Ambassador mentioned that we were also celebrating her daughter’s birthday and that gave the 2 100 guests a cheerful relaxed feeling. 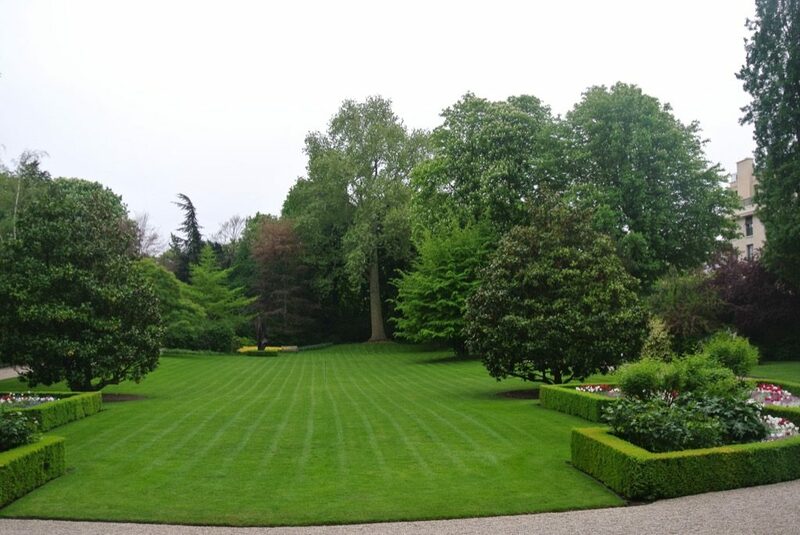 There we were, destroying the perfect grass lawn of Hotel de Pontalba, fighting for mini hamburgers, brochettes and cup cakes. I was looking everywhere for a mojito to drink « à propos », to celebrate the recent diplomatic move between Obama and Castro, but none were to be seen. I bumped into two very attractive high ranked Gendarmes, who were also looking for mojitos, and we consoled ourselves with vodka, lime and mint cocktails, sponsored by Absolut. The red Mustang in the front courtyard almost looked like a Ferrari and the three i.d. security checks on the street, and inside the Embassy, were effortless, since 70 volunteers had come to help and smile, something Americans do beautifully and the French are not accustomed to. There were enough friends from the New York Times and French diplomats to enjoy the evening, which ended with a beautiful sound and light show designed by Disney. The 18 th century building was illuminated and fireworks exploded at 11 pm. When we left, more volunteers were handing out Estée Lauder and Tom Ford perfumes. I walked home thinking America was a great country. Does Ms Hartley speak French? How long did it take to get through security? me of La Tour d’Argent’s “other” restaurant. It used ot be known for very succulent chicken.